Don't forget to visit the University Events Calendar page for all events! RSVP required by emailing us or calling extension 3703. 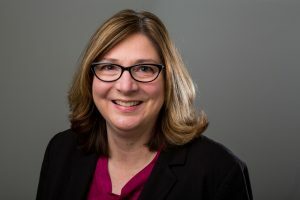 The webinar will feature Dr. Julie Collins, executive director of the International Center for Supplemental Instruction at University of Missouri-Kansas City and presentations from CSU campus SI programs. The webinar will provide a framework of successful SI, inform campuses as to planning, progress and assessment of SI effectiveness, showcase data and the impact of mature CSU SI programs and provide resources and networking through the CSU SI community. The webinar agenda is included. This webinar is open to any of the campus community with an interest in SI. 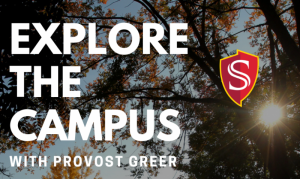 We recommend that campuses invite provosts, associate vice presidents for student success, institutional research directors, SI coordinators and liaisons and faculty. Mark your calendar! Susan’s exhibition will run Jan. 28 through Feb. 23. Everyone is invited to attend the reception on Thursday, Feb. 14 at 6 p.m., followed by an artist talk at 6:30 p.m. Applications from students to participate in the 33rd Annual Student Research Competition are due by Monday, Feb. 18 at noon. The Competition will be held on Friday, March 8. Applications are now being accepted from students to participate in the 33rd Annual Student Research Competition. 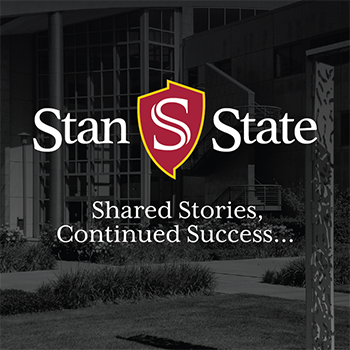 The Stanislaus State 33rd Annual Student Research Competition will be held on Friday, March 8, 2019, in MSR130. The Student Research Competition promotes excellence in student research and creative activity by recognizing outstanding student scholarship across all disciplines. Students present their research before a panel of faculty judges; top presenters in each category earn monetary awards; and delegates are nominated to participate at the statewide CSU Research Competition, where they compete against other outstanding scholars in the CSU system. Applications are due Monday, Feb. 18, 2019, at noon. For more information and a link to the application, please visit the SERSCA Student Research Competition website. Instructionally Related Activities (IRA) Funds – Important Update! The Instructionally Related Activities (IRA) Committee is pleased to share some exciting updates and changes coming in Spring 2019. Competition Opens: February 1, 2019 at 8:00 a.m.
Competition Closes: February 28, 2019 at 5:00 p.m. Applicants Notified: No later than May 17, 2018. If you would like to get started early on your application, the questions are already posted on the IRA website. The IRA Committee will be using infoReady, a paperless workflow system designed to streamline competitions for funds for both applicants and reviewers. If you are a faculty member, you may have already used this software to apply for RSCA dollars and other awards administered through the Office of Research and Sponsored Programs. During the month of February, the IRA committee will be hosting a series of informational webinars for interested applicants to learn more about the new application process, IRA eligibility requirements, and using the infoReady software. Stay tuned for more information on dates and times. The IRA Committee is excited to have recently launched an updated website with everything you need to know about IRA fund competitions, resources for fund recipients, committee membership, application timelines and more. We Need Photos of Your IRAs! To fully outfit our new website, we are seeking photos of current and previous IRAs. We are specifically looking for high-quality photos that highlight student participation and the unique experiences made possible by IRA funds. Please send your photos to po-opsassistant@csustann.edu. For questions about the work of the IRA Committee please contact any of the members. The University Library instruction program helps students develop key academic research skills and become information literate in the ever-changing research environment. Spend less time searching for information and more time evaluating it. Understand the key concepts necessary for research success. Utilize online library research tools effectively. Schedule a librarian-taught instruction session. Embed a research guide in your Blackboard/Moodle shell. Work with a librarian to create tutorials or library guides tailored to your needs. Direct your students to the reference desk or live chat for research help. Direct your students to a one-on-one appointment with a librarian. Please let me know if you have any questions or contact your library liaison. The Office of Academic Programs completed the implementation of Curriculog, a paperless curriculum management system, for all curriculum proposals. Curriculog is now ready for the submission of curriculum for the 2019/2020 academic catalog. The Student Engagement in Research, Scholarship, and Creative Activity (SERSCA) Program has the following opportunities available to undergraduate and graduate students this 2018-19 academic year. Assistantships: Undergraduate and Graduate students earn money working with faculty on research, scholarship, and/or creative projects. Applications are due on September 24th. Mini-Grants: Students may receive a mini-grant to fund research or creative projects with money for equipment, materials, and supplies. Eligible applications will be awarded as received until all funds are allocated. Travel Grants: Travel grants are available to support student attendance/participation and presentation at professional conferences. For more information, including application requirements, deadlines, and other details, please visit www.csustan.edu/orsp. Customized for you! Study Abroad Classroom Presentations can range from 5 minutes at the beginning of class to the whole class period. Hosting faculty member sets the parameters. Faculty and staff can find our form online. Want to post a flyer in your office? The Center for Excellence in Graduate Education (CEGE) offers free writing support to all currently enrolled graduate students at Stan State. English Professor Dr. Matthew Moberly, and CEGE Graduate Student Peer Writing Coach, Tara Dybas, provide writing support for graduate students. The focus of each session is on one targeted writing issue – such as mechanics, sentence structure, or organization – that can be addressed in a 20-minute period. CEGE writing support coaches do not offer editing of any documents. Coaches offer targeted, personalized feedback meant to improve the quality of graduate student writing. Writing support sessions are available in person at CEGE during drop-in hours, or online via Zoom. All available hours are listed on the CEGE website. Instructions for scheduling a writing support appointment are also included on the website. For more information, please contact Library Circulation at (209) 667-3234 or visit the Help Page.